As one of the most dangerous and widespread diseases in the world, malaria is a condition that is constantly evolving. By looking at how the condition has changed and spread throughout the world, we can gain a clearer understanding of how to avoid it effectively when travelling. Every traveller should be aware of the potential risks posed by infectious conditions such as malaria. Put simply, malaria is a serious tropical disease, spread by mosquitos. 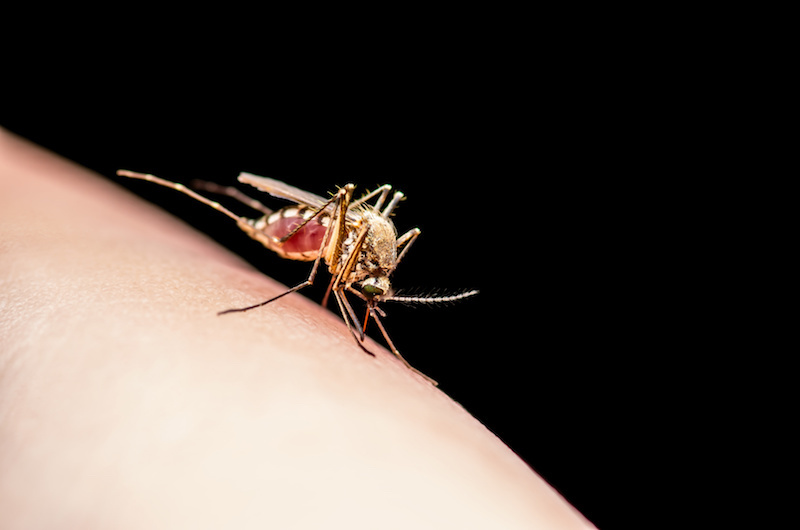 It can be fatal if left untreated, and a single mosquito bite is all it takes for someone to become infected with malaria. Despite still being a significant travel health risk today, the origins of malaria date back millions and millions of years. In fact, fossil mosquitoes have been found in geological strata 30 million years old. What’s more, a variety of studies have suggested that P.falciparum malaria probably jumped from great apes to man, most likely by a single host transfer by vector mosquitos. Findings indicate that malaria traces back to gorillas. As well as having a long and complex history behind it, the condition also has a huge geographical spread. Let’s take a closer look at malaria risk levels across time periods and around the world. We’ve already mentioned that, as well as being a dangerous and widespread condition, malaria is also an ancient one. In truth, the origins of malaria dates back hundreds of millions of years, yet it remains a significant health risk in several parts of the world today. Below is a timeline of how malaria has transformed over millennia. Present: Malaria fatalities almost entirely limited to sub-Saharan Africa. The World Health Organisation (WHO) estimates that 219 million cases of malaria occurred across the globe in 2017. Of these cases, around 435,000 people died from the disease. This number mostly consisted of children under 5 years of age in sub-Saharan Africa. International travellers could find themselves at risk of malaria infection in 87 countries around the world, most notably in Africa, Asia and the Americas. Those who do become infected with malaria often experience initial flu-like symptoms, as well as fever and chills. If left untreated, these symptoms can escalate into severe complications and even fatality. Symptoms of malaria usually appear after a period of seven days or longer, though it can be sooner. 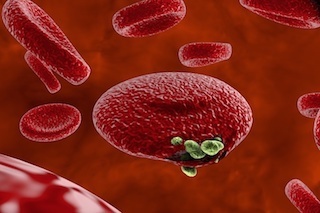 Malaria is caused by the Plasmodium parasite, transmitted by female Anopheles mosquitos which bite between dusk and dawn. Five strands of the Plasmodium virus regularly infect humans. These are falciparum, vivax, ovale, malariae and knowlesi. While P.falciparum is the most dangerous strand, P.vivax is now the most geographically widespread of the human malarias, as it is estimated to account for 100-300 million clinical cases of the infection across Asia, Central and South America, and the Middle East. The deadly P.falciparum strand of malaria is considered a serious public health concern in most countries within sub-Saharan Africa. Diagnosis: Seek immediate medical advice if you develop any malaria symptoms for as long as up to a year after you return from your travels abroad. Always speak to your GP if you’re planning to visit an area where there is a malaria risk. One of the most important questions to ask yourself when travelling is whether malaria is a risk factor in your destination. Being aware of potential malaria risks before you travel is essential, as the most serious forms of malaria can become life-threatening after just 24 hours. Most malaria cases in 2017 were within the WHO African Region (92%, or around 200 million). This is followed by the WHO South-East Asia Region (5% of cases) and the WHO Eastern Mediterranean Region (2%). Almost 80% of global malaria cases occurred within just 15 countries in sub-Saharan Africa and India, and five countries accounted for almost half of all malaria instances worldwide: Nigeria (25%), Democratic Republic of the Congo (11%), Mozambique (5%), India (4%) and Uganda (4%). If you’re planning to travel further than Europe, you should carefully research any potential malaria risks in your area. Understanding malaria is key to avoiding the condition when travelling further afield. If you’re worried that you may be at risk of the condition while travelling, contact Express Pharmacy today. We can provide effective anti-malarial medication such as Malarone and Doxycycline. Speak to one of our pharmacists today by calling 0208 23 07 03 or by using our discreet online Live Chat service. Express Pharmacy Wins the FEEFO Gold Trusted Service Award for the Second Year in a Row! The team at Express Pharmacy are thrilled to announce that we have won FEEFO’s Gold Trusted Service Award 2019; the most prestigious annual accolade available from the company. This marks our second year in a row receiving this honour, as Express Pharmacy also won the Gold Trusted Service Award 2018 from FEEFO last February. This reflects our ongoing commitment to maintaining the highest level of customer satisfaction with the service and treatment we provide. The Gold Trusted Service Award is an honour bestowed on reliable and respected businesses which have consecutively maintained an approval rating of 4.5/5 or higher across at least 50 reviews. For our team, the most important benefit of this award is seeing the positive impact our service has on those with health concerns. We are proud to offer a wide variety of medications swiftly and discreetly through effective and honest service. We understand that sometimes it can be hard to see your GP, whether due to transport issues, finding an appointment that suits you or just feeling self-conscious about your condition. In fact, between 60 and 80% of people admit to not telling their GP the whole truth. However, we don’t believe shyness or practicality should stop anyone from getting the treatment they need to feel like themselves again. This is why we cover such a range of health problems with our treatments, and include next day delivery, free consultations and free prescriptions as part of our service. Boasting partnerships with Yahoo, Google and Bing, FEEFO has built an outstanding reputation as the web’s leading customer review provider. They provide genuine reviews to help customers and businesses connect, allowing brands to see exactly what their customers want from them. Having partnered with many other pioneering names including The Guardian, BBC News and Mashable, FEEFO have won endless awards for their unrivalled tech and services, including being featured in The Times’ Tech Track 100. Many businesses rely on FEEFO to provide them with a clear idea of how their customers feel about their services. 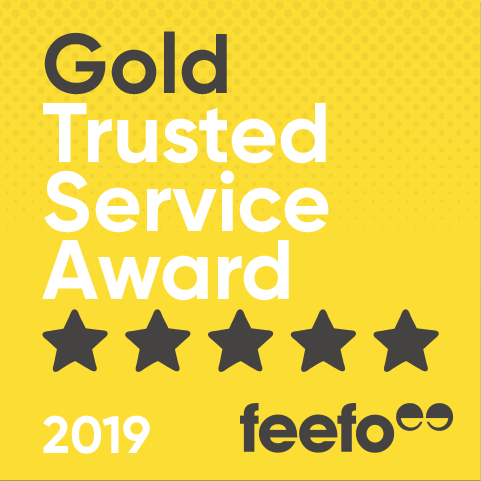 Having been awarded the Gold Trusted Service Award from FEEFO for two years running, here at Express Pharmacy we couldn’t be more proud to provide our customers with the very best experience. Have a health concern you’d like to get sorted? Experience Express Pharmacy’s award-winning services for yourself by exploring our range of treatments today. You can also call the team on 0208 123 07 03 or use our discreet Live Chat service. Express Pharmacy. Express Pharmacy wins the FEEFO Gold Trusted Service Award 2018. 2018. FEEFO. Express Pharmacy Reviews. 2019. Express Pharmacy. Are people honest with their GPs? 2019. Are People Honest With Their GPs? It’s no secrets that the pressure is high for GPs today, with less resources and more appointments than ever. In fact, 93% of GPs say their heavy workload has negatively affected the care they provide, while 37% describe the workload as ‘unmanageable’. But what could be making things even harder for GPs is a growing number of patients who struggle to tell them the whole story when it comes to their health. A new study has revealed that many of us, when we make a visit to the doctor’s office, regularly withhold information from our GP. 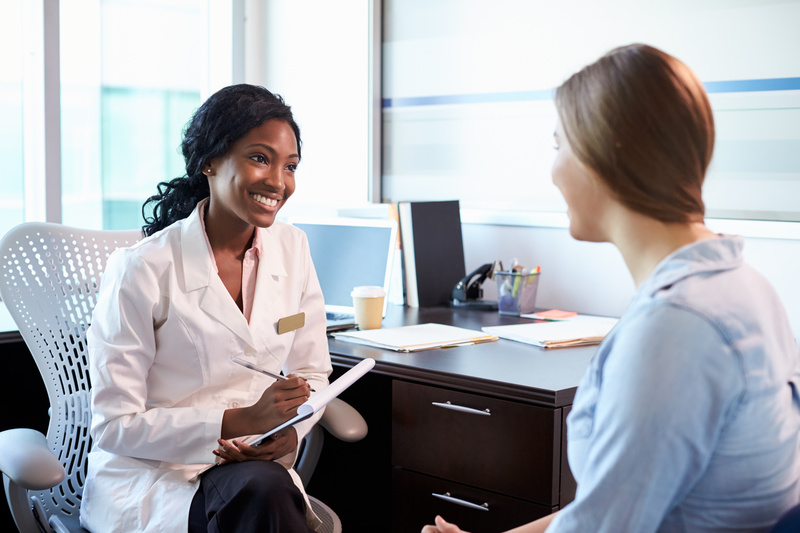 The study, published in the JAMA Network Open journal by researchers at the University of Utah Health and Middlesex Community College, found that between 60 and 80% of patients admit to not being honest with their GP. The results were collected from over 4,500 responders, using two different surveys. In both sets of findings, patients who were younger, female or had long-term poor health were more likely to abstain from the truth. The main reasons for failing to disclose information included disagreeing with a physician’s advice, not understanding medical instructions and not wanting to disclose relevant health behaviours like a poor diet. Not wanting to be judged or lectured was the main reason for withholding information, followed by a lack of desire to hear about their unhealthy life choices, and simple embarrassment. Others didn’t want to hear information on their medical record, while some just wanted their GP to like them. Simply put, withholding information from GPs can make it more difficult for GPs to provide the right care. This can lead to health-related consequences which could have otherwise been avoided. The most recent NHS GP Patient Survey (August 2018) revealed that more than one in ten patients felt that their mental health needs were not being recognised or understood by their GP. What’s more, over 60% had not had a conversation with their GP during their appointment about what is important to them when it comes to managing their condition. Discussing your health honestly and openly is key to feeling understood and listened to. Having an open and honest relationship with your GP is vital, and there is no replacement for it. Certain medical concerns will require you to pay your GP a visit and seek their fully-informed, professional opinion on the best course of treatment. However, online pharmacies such as Express Pharmacy offer the opportunity to seek out safe and effective treatment for NHS-approved pharmacists without having to feel concerned or embarrassed. The benefits of online pharmacies also include increased access, convenience and greater autonomy and accessibility for customers. We provide medication for a range of health conditions such as erectile dysfunction, acid reflux, hair loss and weight management. Get in touch today by calling 0208 123 07 03 or by using our discreet online Live Chat service. Exercise is key at any age, but particularly as we get older. Not only is exercise important for staying fit and mobile, it can also reduce your risk of major health concerns like heart disease, cancer and type 2 diabetes by up to 50% – all of which are more common in older adults. It can also reduce your risk of early death by up to 30%. What kind of exercise should you do? Every kind of exercise comes with its own benefits. Cardio and aerobic exercises serve to elevate your heart rate and tax your cardiovascular system. This helps to build endurance and ensure that your body continues to work effectively. Conversely, the main benefits of strength training are to your musculoskeletal and neuromuscular systems. 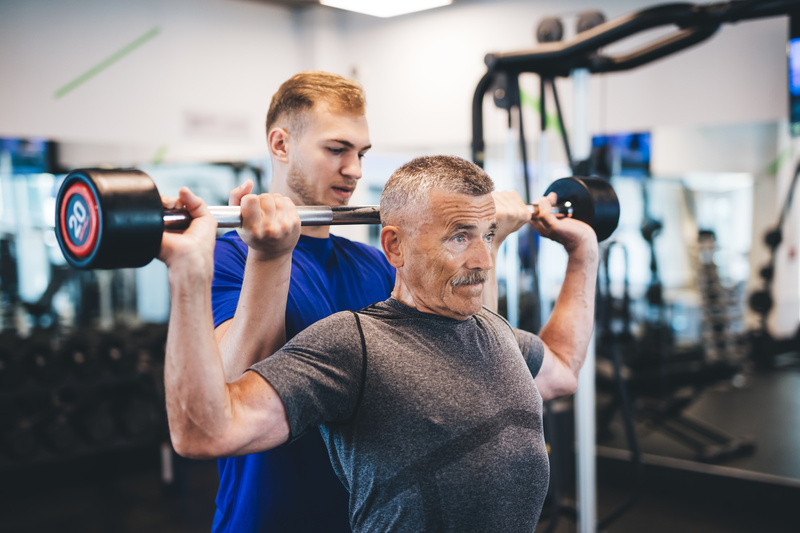 As you age, you may find that you no longer pack on lean muscle when pumping iron – but you can avoid muscle wastage and even help to retain bone density. This underappreciated benefit can become particularly relevant when you arrive at your seventies and eighties. Finding the best exercise for you will increase your likelihood of making it part of your daily routine, so here are some of the most beneficial options out there. Cycling is great for boosting your balance and burning calories, while also building resilience in stiff and sore joints. Even better, a study from YMCA found that the endorphins released during cycling can increase your mental wellbeing by up to 32%. Whether ballroom, line, square or aerobics-based dancing like Jazzercise and Zumba, moving to the beat is an effective way to build endurance, strength and balance. Not only that, but dancing can be a really fun activity once you find the right style for you, so you may not even feel like you’re working for your fitness. Golf often gets written off as an inactive sport, but an average round of golf requires you to walk at least 10,000 steps. On top of that, the swinging motion itself stretches your muscles and helps build balance over time. One Edinburgh review even found that golf had physical and mental benefits for people of all ages, and that the benefits increase with age. Even if you take it slow while jogging, it’s a great way of increasing your heart rate and circulation. You can choose how intensely you want to go — just be sure to stretch your calves and hips before you set off. Muscle loss is a common side effect of getting older, known as sarcopenia. However, training your muscles with weight lifting or bodyweight exercises (push-ups, pull-ups, squats etc) can help tackle this concern. Start off light and build up over time. Swimming is a great option for older adults, as you’re not placing any weight on your joints. Instead, you’re using water resistance to burn calories, build muscle and improve mobility. You’re also less likely to overheat thanks to your surroundings. Walking is an easy and effective way to introduce yourself to fitness after fifty. Even a short daily walk has the potential to burn calories, lower your cholesterol, improve your mood, reduce stress, improve your breathing and boost your heart rate. Yoga has gained serious popularity in the last few years, and it’s not hard to see why. It’s particularly great for older adults, as holding a series of poses will strengthen your muscles and stretch your joints, improving your balance, mobility and flexibility. It can also boost your mental health, reducing feelings of anxiety and depression. A study published in the Journal of Physical Activity and Health even found that 20 minutes of yoga improves the brain’s ability to quickly and accurately process information. Exercise is key to maintaining your health, but in some situations support, treatment and medication is also necessary. Discover medication for a variety of health concerns – from weight loss medication to smoking cessation – here at Express Pharmacy. We can help you gain access to effective treatment swiftly and discreetly. Contact us today by calling 0208 123 07 03 or by using our online Live Chat service. For many of us, summer is the time of year when we finally let our feet breathe in sandals and flip-flops after months cooped up in shoes. This is especially true if you’re planning a trip abroad to somewhere hot and sunny over the coming months. However, for those with conditions like fungal nail infections, the thought of getting your feet out in public can be a daunting one. With any condition, understanding it is the first step to beating it, which is why we’re going to show you how to spot, prevent and treat fungal nail infections this summer. A fungal infection can affect any part of the body, and is normally present alongside various bacteria. When the fungus starts to grow, an infection can occur. Onychomycosis, also known as tinea unguium, is the name of the fungal infection which grows specifically in the fingernails or toenails. A fungal nail infection occurs as the result of an overgrowth of fungi in, on or under the nail. These fungi thrive in warm and moist environments, making them more common on your toenails as your feet spend more time confined within shoes and socks. Fungal nail infections can also be spread through contact. If you receive a manicure or pedicure at a salon, it’s important to query whether the tools have been effectively disinfected, as emery boards and clippers can spread fungal infections from person to person if not sanitized. Who is at risk of fungal nail infections? Anyone can get a fungal nail infection if they put themselves at risk. However, certain people have been shown to be more susceptible. Infections are more common in men than women, and more likely to occur in adults than children, especially those older than 65. If you have a relative who often gets fungal nail infections you are also more likely to get them. What are the signs of a fungal nail infection? How do you prevent a fungal nail infection? How do you treat a fungal nail infection? If you do suffer with a fungal nail infection, take comfort in the knowledge that effective anti-fungal medication is available. Curanail is a treatment specifically designed to fight infections in fingernails and toenails. It has been clinically proven to clear over 75% of fungal toenail infections (and 85% of fungal fingernail infections) within six months. Anti-fungal medication like Curanail is available from Express Pharmacy. Get in touch with our team of expert pharmacists today by calling 0208 123 07 03 or by using our discreet live chat service. Thank you for such a wonderful article and sharing. Thank you for your lovely comment on our blog. We endeavour to post interesting articles, to keep all patients informed and educated on particular health related issues. If you have any blog requests, please let us know!